Let me tell you that it is a good day when Nike drops some new colorways in their Premier II series! 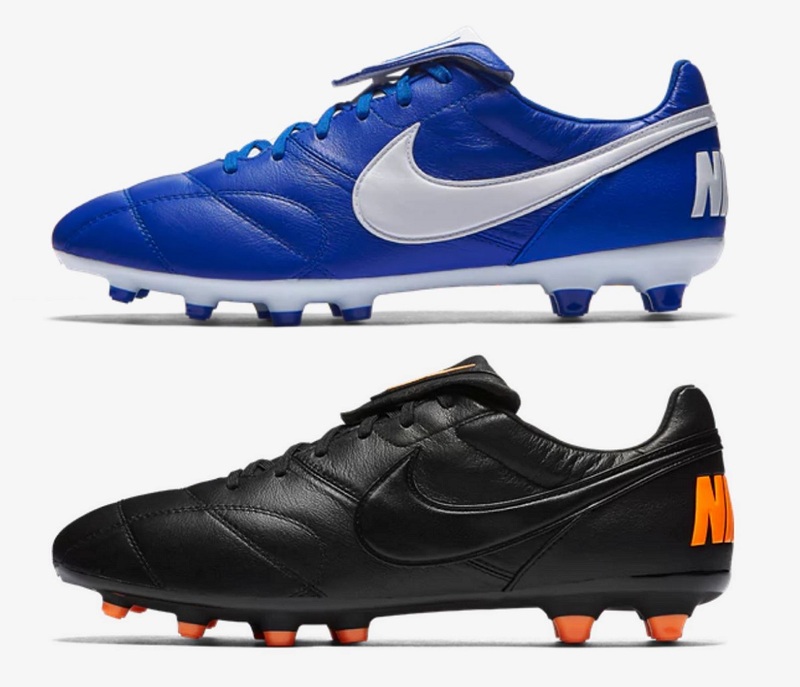 If you are not familiar with the Nike Premier, it is a classy, traditional style, heritage boots that Nike created to be a high performing, timeless classic available to consumers at an ultra competitive price. 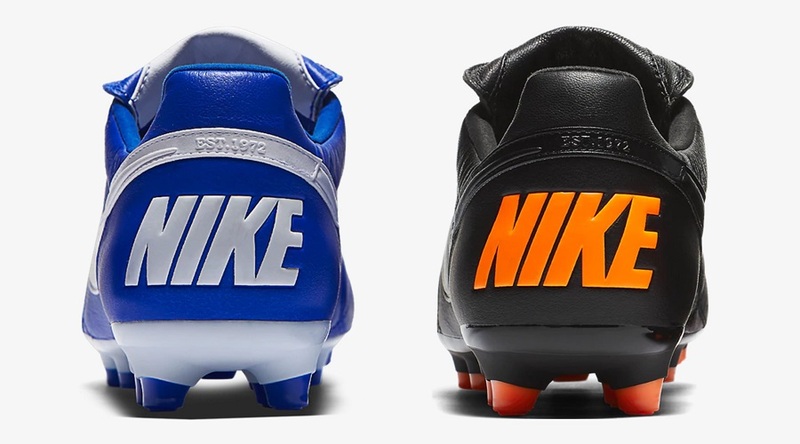 On offer is a tiempoesque Racer Blue colorway as well as a classy Black/Total Orange. Everything about these new colorways oozes quality, depending on your particular taste. When they were originally released, the Premier was intended to be a competitor to the Adidas Copa Mundial. In the time since, it has become a direct competitor to the highly rated adidas Gloro series. If this is a boot you are interested in, I’d strongly recommend going up a half size to get the right fit. I tried a pair that were true to size and a pair that were listed a half-size up and I have to say that the half-size up felt more comfortable. There really isn’t a great deal of extra room in the boot and they seem to provide a sort of Tiempo Legend sizing to them. My recommendation is to definitely consider going up a half-size on this one. Originally, it was Nike’s goal to keep the price under $100, this latest version somehow jumped to $110. In reality, that isn’t a huge increase considering inflation and what the market currently looks like. Nike are able to keep the price reasonable since there is no big endorsed player to go along with the release, and there won’t be a team developing the “next” version. If value and quality performance is something you need in a boot, this is a top choice I personally recommend players check out at least once, just to see what they have on offer. 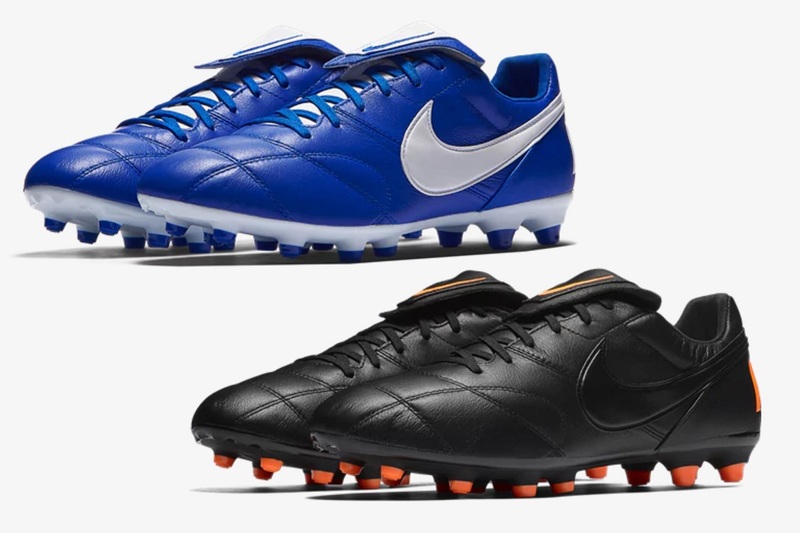 Find the entire current Nike Premier II colorway line-up at soccer.com. do you go a half size up on the tiempos too? They definitely fit tighter than other Nike boots, a half size up is a good idea to get a comfortable fit!